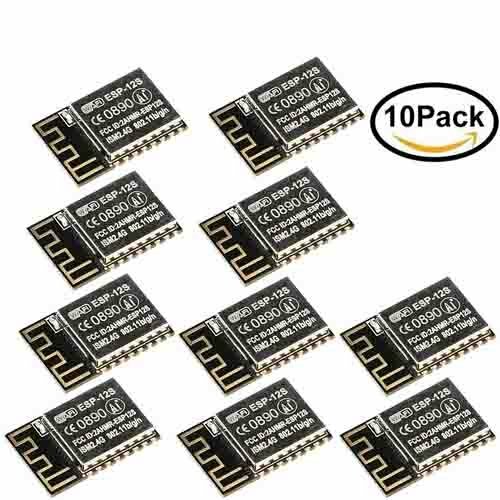 Superele 10pcs ESP8266 Serial To WIFI Module ESP-12S Industrial Grade Wireless Module ESP-12 by Superele at AABX. MPN: ELE391. Hurry! Limited time offer. Offer valid only while supplies last. Parameters: 1. Standard certification: FCC / CE / TELEC 2. Wireless standard: 802.11 b / g / n 3. Frequency range: 2.4GHz-2.5GHz (2400M-2483.5M) 4. If you have any questions about this product by Superele, contact us by completing and submitting the form below. If you are looking for a specif part number, please include it with your message.